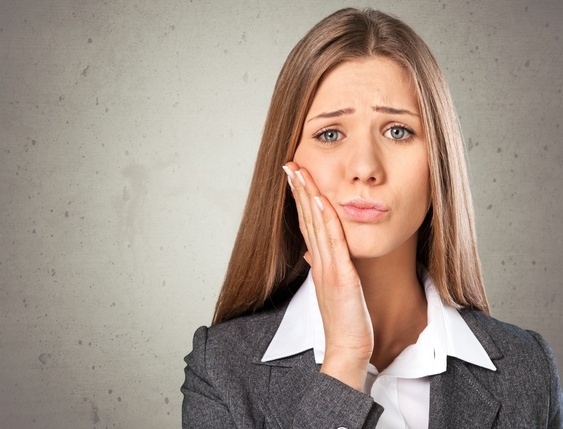 Are you suffering from a toothache in Sacramento after having had dental work done? Did you recently have a filling, crown, root canal, or dental extraction treatment in the Sacramento area? Have you gone back to your Dentist, or seen a dental specialist- such as an Oral Surgeon or Endodontist- and were told that they could not find the cause of the dental pain, or that they could help you resolve it ? Has your toothache been constantly hurting now and has been going on for months, or even years? I have helped many people who have been in these situations. They either had a painful tooth, or pain in the face or mouth area that no one could help them with. The common denominator was that the pain began after having had dental treatment done, whether it was a filling, extraction, crown, or root canal. Sometimes pain does occur following a dental procedure, but do not lose hope that you have to live with this pain forever and that there is nothing that can be done. You certainly do not want to live the rest of your life with pain medication or have surgery, if a safer, non invasive solution can be found. The basis of the pain relief is myofascial release. The fascia gets bound up and needs to lossen the tight grip that causes the pain and loss of nutrients to the area. At Release the Pain in Sacramento, I help release the fascia which helps bring health to the area. The following is a post I wrote today in my Facebook page, "Release the Pain and Fear"
I met a woman today who complained of constant tooth pain. 2 months ago she got a filling in the last upper left tooth, which then resulted in a root canal, because she said he made a mistake and drilled too close into the tooth nerve area. She afterward complained of ongoing non stop pain, of which the endodontist could not resolve. This continued to where the pain was now occupying her whole left body side. I worked on her body, by loosening with myofascial release and I also worked inside the mouth. She was happy and said all the pain was gone and now she just wanted to take a nap. Her body felt good and was now much more loose. No more tooth pain, either." Call Vicki now, at 916-613-7099, if you are experiencing dental or facial pain following a dental procedure, if your provider says that they cannot help you.